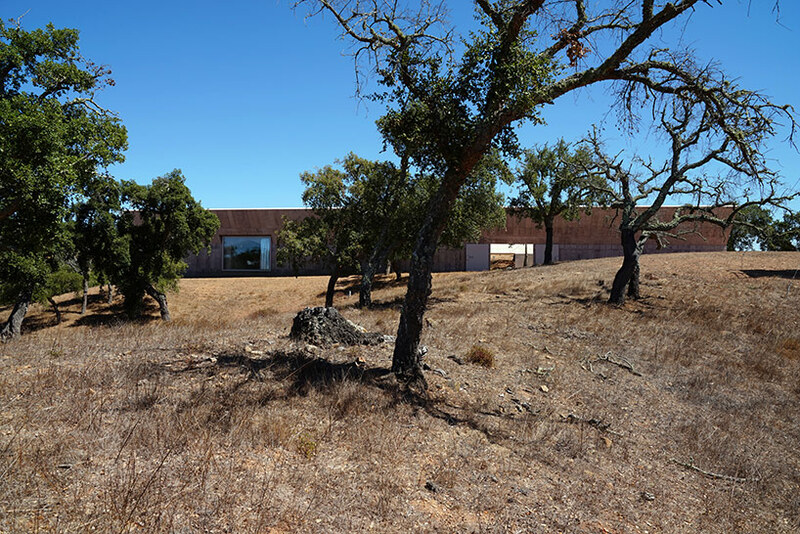 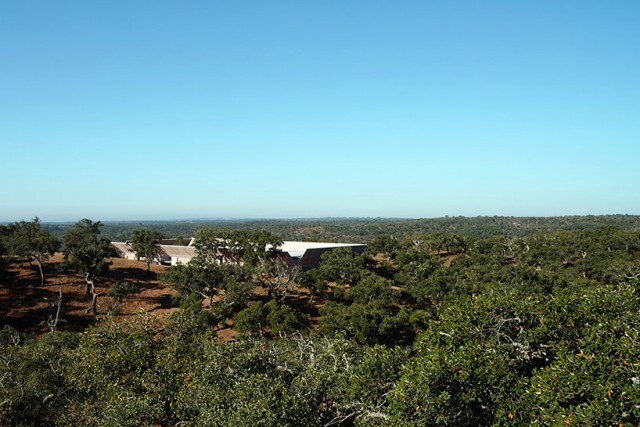 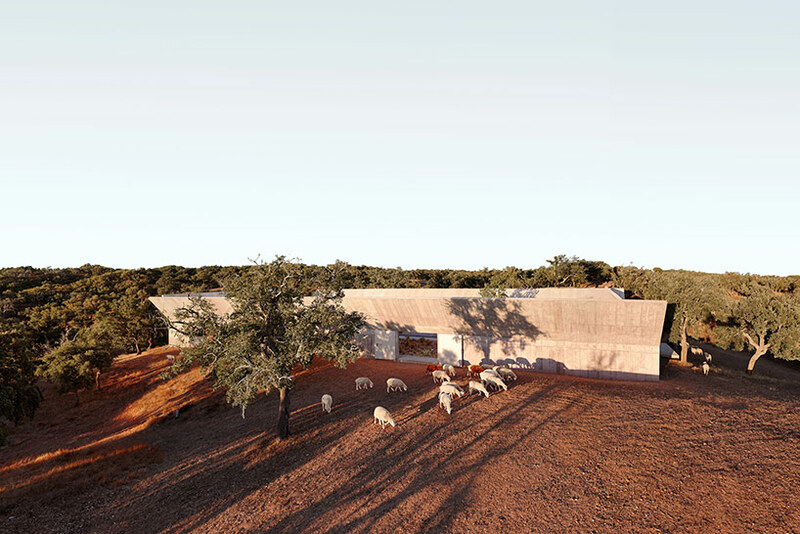 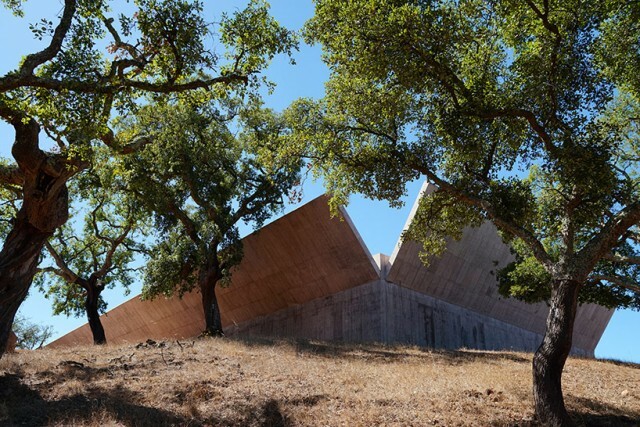 10 kilometers off the atlantic coast in the alentejo region of portugal, the villa alem by swiss architect valerio olgiati sits amongst a vast forest of cork trees common to the area. 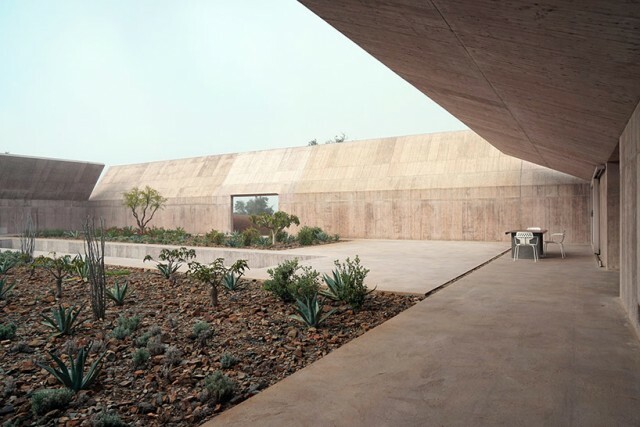 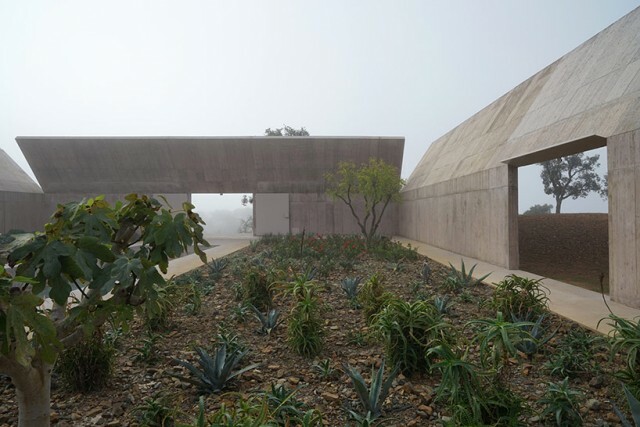 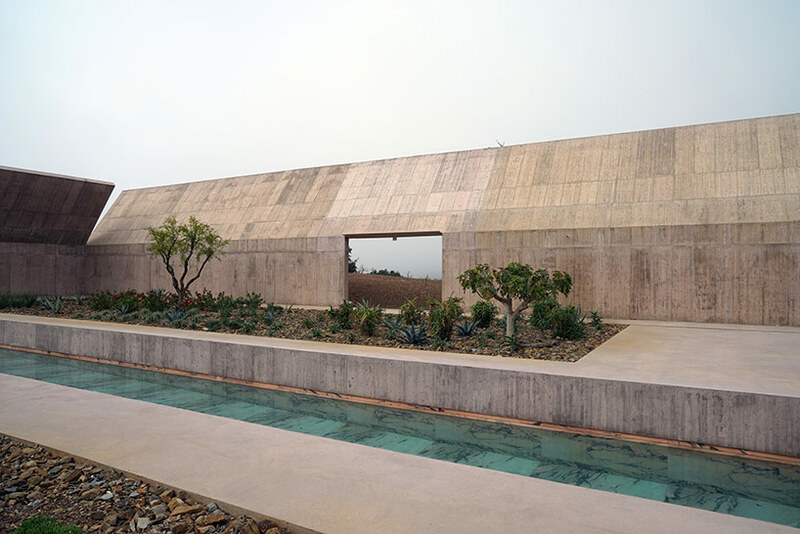 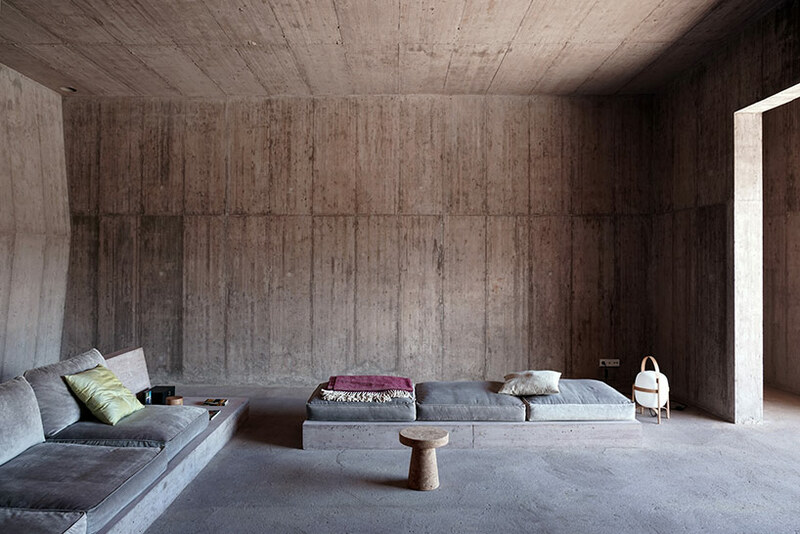 The home is rather simple, if not very unique- it is characterized primarily by the reinforced concrete walls that define an inner courtyard, open yet entirely private. 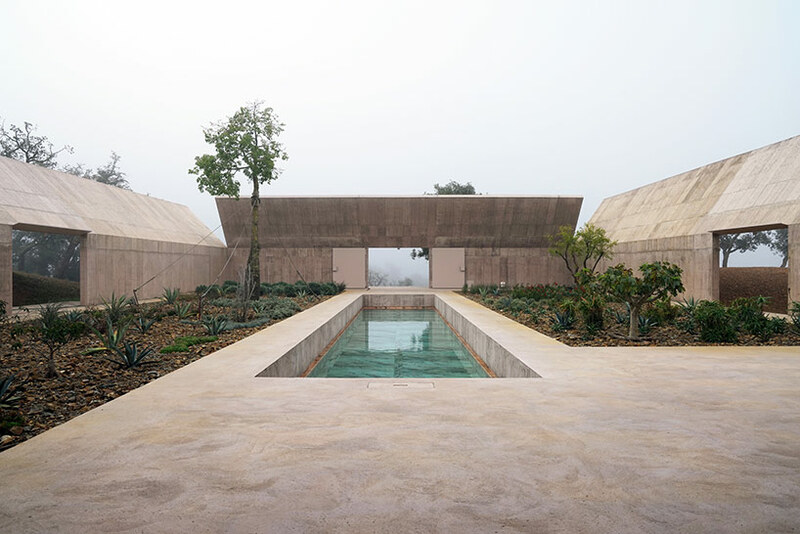 These outer partitions, once reaching a certain height, fold either into the space or away from it almost like the lids of a box in order to create shade or open views to the sky. 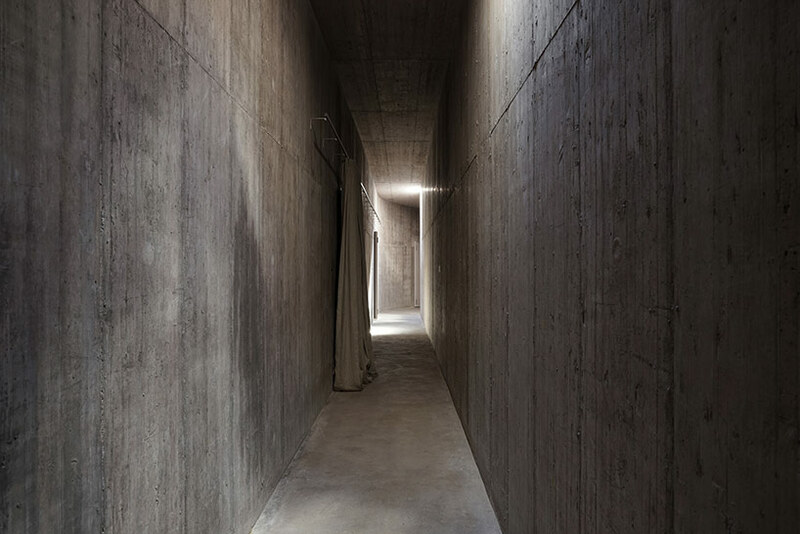 The one-story house is nestled invisibly within these walls and faces the courtyard to receive plenty of daylight. 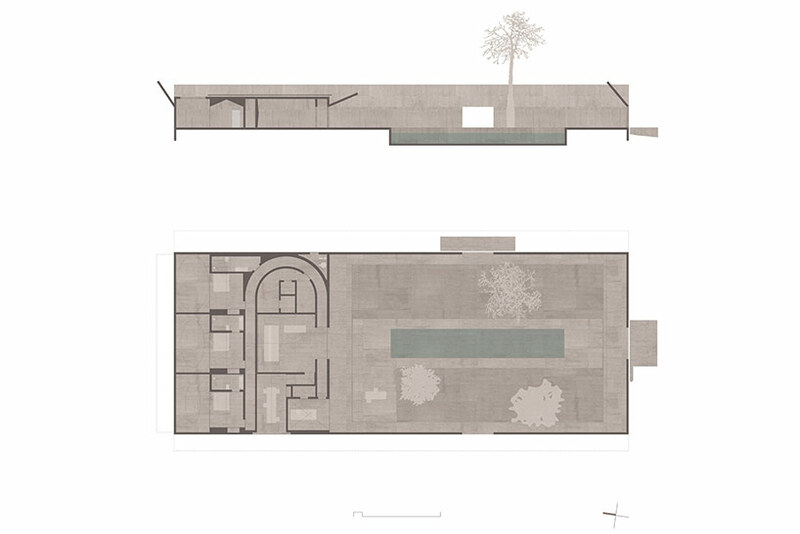 The living room faces the courtyard, opening up onto an exterior patio and central pool. 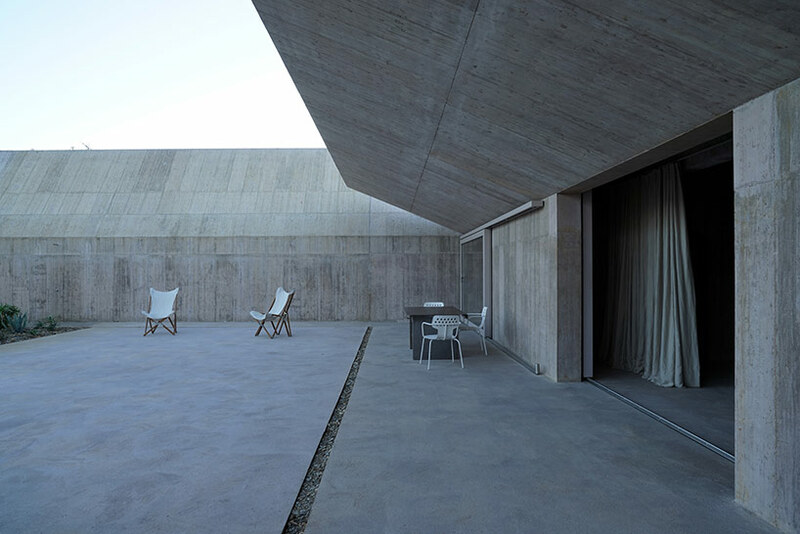 Adjacent to it, separated by a structural wall, a dining room projects out towards the exterior through a full glass wall. 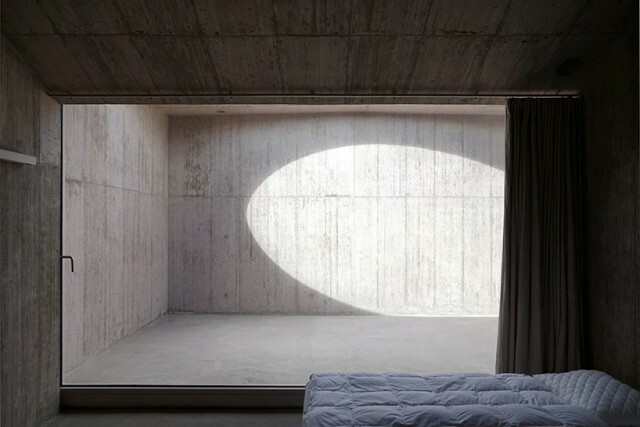 On the other side, the kitchen sits within a semi-circular room outlined in a concentric circle by a small hallway that loops around to the bedrooms along the backside. 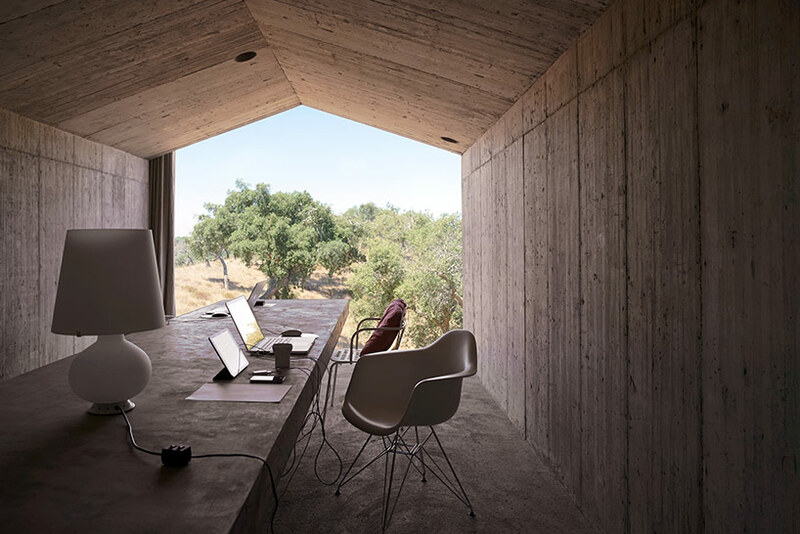 Each bedroom, arranged in a lineal fashion, contains its own private courtyard.